I started Sogetsu Ikebana quite late in life while living in San Jose, California and have devoted myself in it now in London where I now live.People of any age, can find the beauty of ikebana. I teach beginners to higher grade levels following Sogetsu School text books. Sogetsu concept is that Ikebana is not difficult. 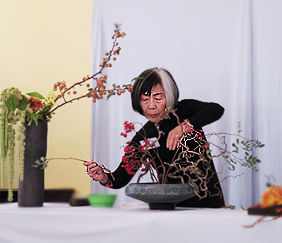 Anyone can enjoy and create Sogetsu Ikebana anytime, anywhere, using any materials. The late Sofu Teshigara established the Sogetsu School in 1927. In April this year, many Ikebanists from all over the world joined in the celebrations for the Sogetsu 90th Anniversary Commemoration Festival in Tokyo. London Branch was established in 2007 and the 10th year anniversary will be held in December this year. There are four workshops for members and at least one annual exhibition open to the public. 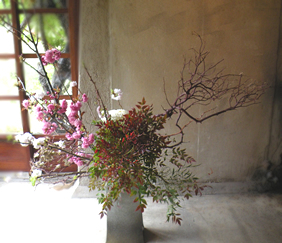 Members enjoy the study of Japanese flower arranging, in the style of Ikebana principles of Sogetsu School Tokyo. Ikebana International has 162 chapters around the world, including London UK. London Chapter will be celebrating 60th year anniversary this year. 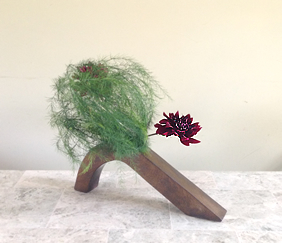 Copyright (c) Ikebana Sogetsu【Shoko Koizumi-Hanson】 All rights reserved.